I looked into buying my son a play kitchen and was pretty surprised how much they can cost. This gift guide is pretty typical, with the kitchens ranging from $60-$300. I feel like I’m missing something here. 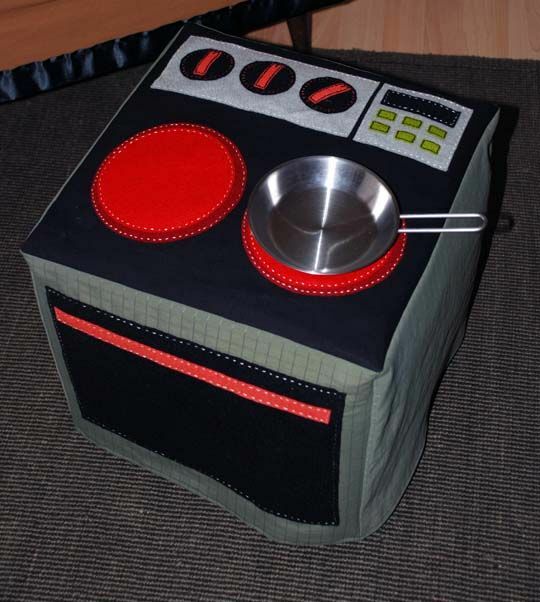 This is a pretend oven that my son can shove all his toys into and tell me he’s baking pie, right? Yeah, I thought so. I don’t think I need to spend a lot of money on that. Here are four ways to recycle material around the house and make your own play kitchen, for a fraction of the price. 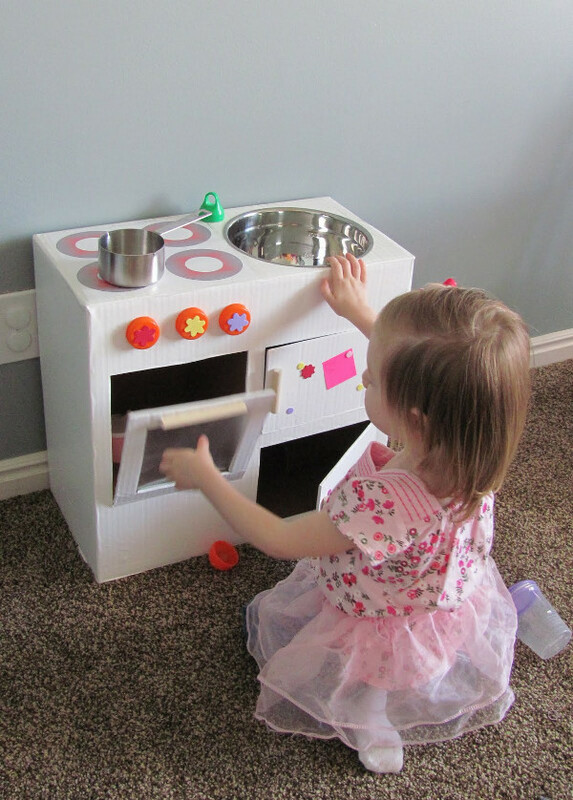 PLAY KITCHEN FROM A NIGHTSTAND. 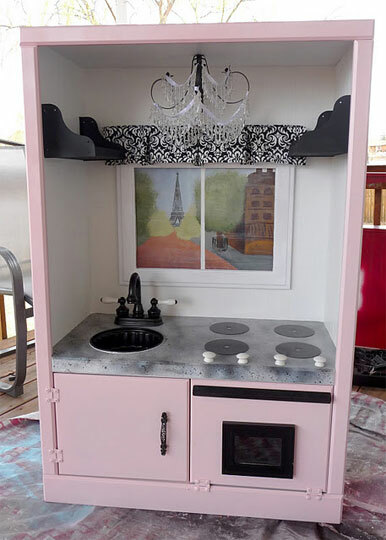 This project took a $6.50 nightstand from the thrift store and made a great play kitchen. PLAY KITCHEN FROM A ENTERTAINMENT CENTER. Since the entertainment center was free, the entire kitchen cost $15 to make. A PLAY KITCHEN THAT FITS OVER AN OTTOMAN. If you can sew, this is a great option: sew one to fit over an ottoman. You can fold it up when it’s not being used. 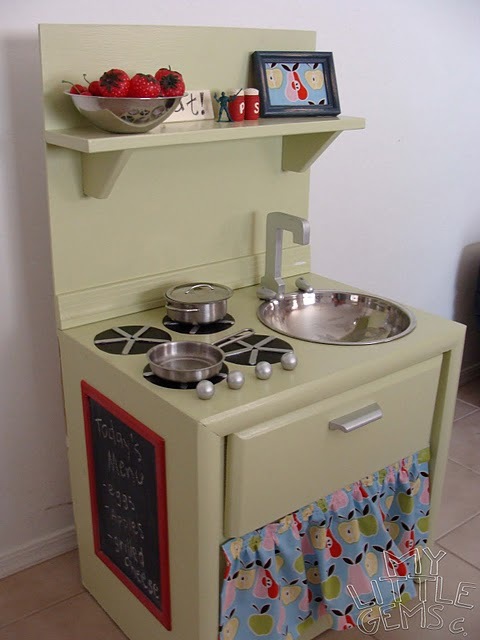 A PLAY KITCHEN THAT FITS OVER A FOLDING TABLE. This one works for small spaces. 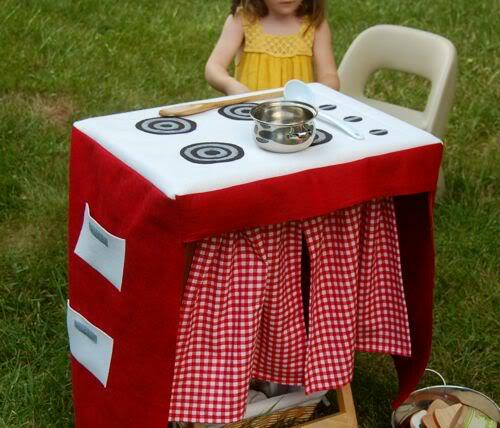 A PLAY KITCHEN MADE OUT OF A CARDBOARD BOX. This one won’t last forever, but hey, they lose interest in these things pretty quickly.